Meet Sr Jane Booth, a dedicated paediatric nurse specialist who pioneered a ground-breaking initiative called the BreathEasy Programme at Red Cross Children’s Hospital, the only one of its kind in the world. A unique multidisciplinary nurse-led initiative, the programme empowers parents of children reliant on a tracheostomy or artificial ventilation for breathing to provide safe care for their children at home. From a very young age, Sr Jane Booth’s caring nature convinced her parents that nursing was the ideal choice for her. With their encouragement and support she embarked on a career path that would not only bring joy to herself, but change the lives of many children and their families. When the demanding hours as a nurse deprived Sr Booth of precious time with her own children, she requested a part time position at the hospital. She was given the opportunity to work in the E1 ward, a ward dedicated specifically to patients who had tracheostomies, a small hole in their throat to facilitate breathing. This was the start of something remarkable for Sr Booth and Red Cross Children’s Hospital. Some children died in hospital because of complications related to long term hospitalisation and Sr Booth realised that the need for a more sustainable programme was crucial to train mothers to look after their children. Having the knowledge and experience, she initiated the BreathEasy Programme in 1989 when she trained the first mother from Mitchells Plain. The Breath Easy programme has focussed on educating parents and providing them with confidence to confidently take care of their babies at home. “The training is slow but it is a sure thing to make mothers comfortable,” says Sr Booth. The first family was sent home and ever since then patients have been sent home. 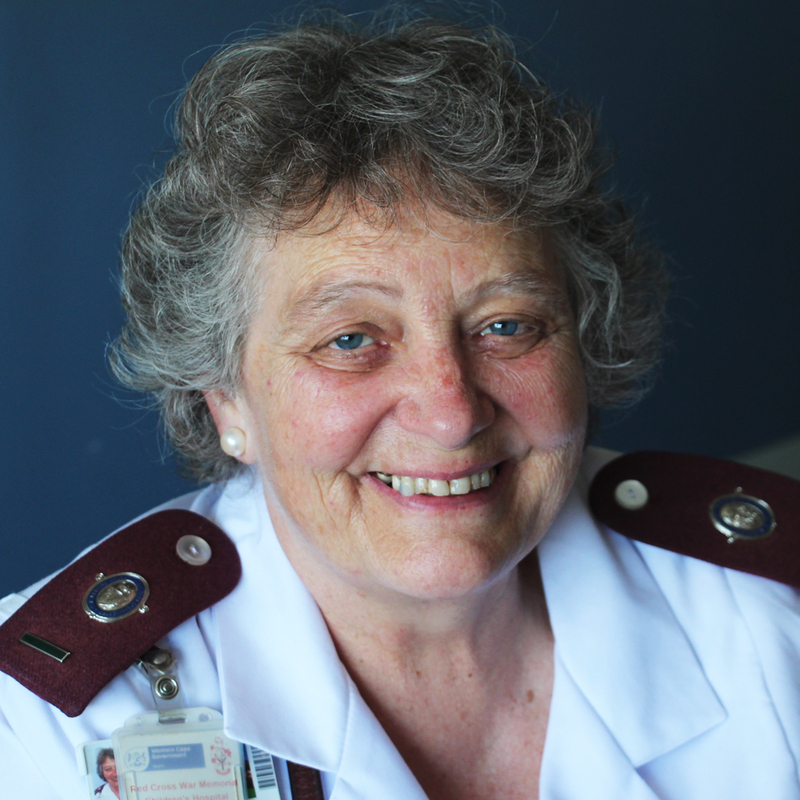 Sr Booth is passionate about what she does and the satisfaction of seeing patients returning home is what gives her the joy of coming to work each day. Sr Booth will be reaching retirement soon. She is grateful that she will be able to train someone in her knowledge to continue the programme. She says: “I can see how the programme and skills are being refined to help and equip everyone.” Looking at the future, Sr Booth hopes to continue in her purpose in other parts of Africa and the world, where she can teach what she is passionate about.